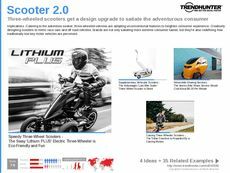 Find Better Ideas, Faster ® with a custom motorcycle trend report, our PRO Dashboard and 80+ categories of premium trend reports. 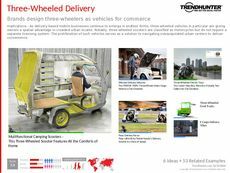 The Motorcycle Trend Report investigates a variety of innovations and designs being manufactured based on motorized bikes. This report will feature the latest motorcycles being created by top industry brands such as Harley-Davidson. We will also explore the technological advancements being made within electric motorcycles, child-friendly motorcycles and remote-controlled bikes as well. Lastly, we will look at safety features, motorcycle equipment and accessories currently available for consumer purchase. This report is designed to benefit automotive retailers, designers and manufacturers who want to gain insight and information on current consumer desires. It will shed light on existing motorcycles and allow designers to investigate areas that need improvement. It can also benefit eco-friendly designers and ethical organizations that are veering towards environmentally sustainable products. The Motorcycle Trend Report contains valuable insights required for your brand to maintain industry knowledge and exceed consumer demands.